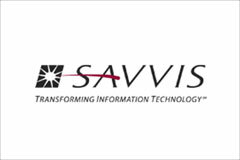 In this Thought Leaders podcast, brought to you by SAVVIS, Andy Schroepfer, president & founder of Tier 1 Research, discusses his view on the hosting industry, including the market forecast and segmentation, future growth areas, and how the buyer — not the supplier — is driving the future of IT services. Welcome to this edition of Thought Leaders, where we bring you candid conversations with the people whose research and writing are guiding both the buyers and suppliers of IT Solution. I’m Jim Leach. Today we are joined by Andy Schroepfer, President and Founder of Tier 1 Research. Andy is unique in market research field in that he is part Wall Street analyst and part IT Industry analyst. He applies his experience on Wall Street through his research and how IT companies are turning customer solution into shareholder value. Thanks for joining us on Thought Leaders Andy. Hey, happy to be here, thanks for having me. Can you put on your Wall Street Analyst hat first and give our listeners your view on the hosting industry? How big is it? How do you segment it? Where are the growth areas? Sure. Well, from the Wall Street perspective, there were a ton of people that got burned back in the Internet bubble that looked at Exodus as the be-all-end-all company in the hosting sector and then there was Acomi and all these other companies that had monstrous billion dollar valuations, and obviously those all came down in fact, to zero to something probably above zero. So, in a couple of years that ensued since then, it was tough for people to really understand why would I go back to that industry, it was part of the bubble. And fortunately now, we’ve had a five year – half a decade separation to where people can come back and revisit these. So, that’s because of the Web 2.0 movement that gives a lot of prospects. BusinessWeek article from a couple of weeks ago; we have a $12 billion industry in hosting that people still don’t necessarily know how to look at. There is two ways to look at it. One is the old way which is the — there is data centers, and that’s a co-location business. There’s people with dedicated hosting that actually own the gear and it’s actually a single device or multiple single devices for specific a client. Then there is shared infrastructure; shared infrastructure used to just be defined as shared hosting, but now as you look, it includes utility computing and virtualized hosting. That’s the old way to look at it. The form factor — way to look at it is not how we believe investors would want anyone to look at it. The new way should be, who is the buyer of the services that are being sold in this $12 billion hosting industry; it’s the consumer which buys blog services, media publishing, and sharing tools; it’s the small business that buys different software, the service applications, or host their own version of an appliance as an application. Then there’s large enterprises that have big needs for disaster recovery, big needs for facilities, for lots of their analyst applications. So, the right way to look at it is by customer type that’s buying; and that’s how we are starting to segment our industry at least, in our revenue view of this $12 billion sector. But now that’s the right way to look at it, as people are starting to understand that and understand how these business models are working. The investors have started to come back, and most of the stocks in this sector that are public, and what we’ve seen are doubling over the last year, or at least they are more formalization in how their capital structures worked. So, I think investors have more of a reason to come back to this sector as well as a healthier sector to come back to. Very interesting; so let’s dig into those buyer segments a little bit, the consumers, small business and large enterprises. Where are the growth areas in those segments, are they all growing at about the same rate or are some of the areas hotter than others? The consumer sector interestingly, is actually being driven by free services, which are advertising based. So, it’s actually a different revenue model than people buying actually for the services whether it’s a blog service, whether it’s a shared hosting account, whether it’s an email account. So that business model is completely different and there’s tremendous growth in online advertising because of the benefits that you can have from better targeting who you are trying to reach with your ad. As you get into the small business, those companies are finally understanding that they can take advantage of the applications that larger enterprises have used because they can buy them in a â€˜software as a service’ delivery model, which gives it a per user, per seat, per month, pricing structure, and lets it be approachable by both the user as well as the buyer from the small business. So that’s the biggest growth area as it relates to hosting. The large enterprise has already decided whether they’re going to do something in-house or whether they are going to do it on an outsourced basis. That usually has a five year cyclical nature and I think we are coming back to the marketplace — we are coming back to the part in that cycle, where the enterprises want to be outsourcing more. And interestingly the dynamic that’s hitting at the same time now is the availability of so many enterprise applications through this â€˜software as a service’ model, which is causing enterprises to need less data center space in some cases, or if their delivery model is to be a â€˜software as a service’ company, a lot of these companies are taking on more infrastructure. So there’s as many companies growing huge in a large enterprise as it relates to their hosting needs, as there are companies who have a significantly less need. So a good large enterprise is probably the slowest growth sector but it’s more about who you’re targeting that large enterprise group. So the buyers of Web hosting services are starting to segment themselves into these different categories of consumer and small business, large enterprises. Are you also seeing a similar type of segmentation in the Web hosting providers? Are they trying to deliver different types of services and to meet the needs of these different segments? Yes, that’s a great question. It’s been the changeover from the seller having the power to the buyer having the power; and there’s equally as many companies that get this change, to the companies that don’t. So, the companies that get this change are offering so many services on a needed basis, or on a pre-user basis; that’s how the buyers are interested in buying right now. As you go down across those different segments from large enterprise down to consumer, the consumer is becoming so used to having free services, and they are happy to understand that advertisements are what’s allowing them to get that service for free. You no longer have people interested in buying a software package at â€˜Best Buy’ or â€˜Circuit City’ or having them download software from the Web, you’re wanting them to just be able to drive right in and use the service and pay for it; then again, as you go up into the small business and large enterprise to be able to use that and pay for that on a pre-user basis, and above and beyond that the ones who really get this change that’s happened, understand that you are personalizing and verticalizing their offerings; so, not just offering a utility computing platform but tailoring it towards a particular vertical market such as financial services or retail or healthcare. Whatever the application is that’s going to reside on top of an infrastructure, it’s going to have a better growth story behind it and a better traction and adoption if it’s tailored towards this specific vertical market. Those are the companies who really get what’s going on right now. Or in a sense that the consumer segment is driving the business segment; and from an IT supplier perspective, a number of the biggest hosting companies, firms like IBM, EDS, big telcos like AT&T and Verizon, they grew up in the business sector. Are firms like those big traditional outsourcers going to have trouble surviving in this new market? Do they have to regroup? They definitely need to regroup. I wouldn’t go as far as to say they have a problem surviving. I hope a lot of these mega-companies lay off a lot of people that hopefully go and start a lot of new interesting entrepreneurial companies. The entire reason that the consumer is driving the innovations in the enterprise services world is that it’s easier to adopt something that’s free. I mean you can get mass adoption of something that’s free, and you get a lot of people that battle-test different applications that are online. So is Microsoft ready to offer their entire Office suite in an online format yet? Sure they’re probably ready, but will they? They won’t until they have to. Unfortunately, there’s companies from Google all the way on down to the companies like Zoho that are launching spreadsheets and word processing documents online, and making that something that Microsoft will have to react to; same thing can be said for the outsourcers on your question. If these services are geared towards being tuned with expensive consultants and expensive engagements, it’s not necessary that that’s wrong, there’s the need for that personalization. They’re using the tools that have been battle-tested in the consumer world. You are able to more quickly and easily adopt, customize, personalize, and verticalize all these applications and the enterprises outside do think that IBM is at a disadvantage as a company, but hopefully the IBMs, EDSs, the CSEs will use to their advantage the divisions that are focused on looking at those technologies to their advantage for their enterprise accounts. So again, I wouldn’t go as far as to say they’re in trouble; I would go as far as to say they are disadvantaged relative to companies that do get to work closer to both the cutting edge consumer side as well as the small business side. Let’s talk a little about the startups that you alluded to, that it might start emerging over time. I know you keep an eye on that part of the marketplace. Have you seen anything interesting with the startups that you think could have a big impact on the broader Web hosting industry? Yeah, I think social networking is essentially the heart of what the Web 2.0 movement stands for; it’s the ability for anyone to interact with any content and share it with anyone that they want to, in any format that they want to. Whatever website you might go to, whatever application you might interact with, it should afford you the opportunity to use that in a community fashion whether it’s reading a news article online, whether it’s buying a product online, whether it’s writing a blog entry online; everything that you might do is something that should be something that can exist in a social network. So, whether it’s the social network software makers themselves that actually pioneer this into all of the enterprise applications is yet to be seen – kind of like business analytics, that’s the sector that still exists today with business objects and a lot of mega companies still – essentially analytics need to be applied to every application. We think social networking is the latest thing out of the startup movement and needs to be applied to almost every website, every application that exists. It’s always a pleasure to get a chance to spend some time and talk with you Andy, I really appreciate you being a part of Thought Leaders. Let me asked you one last question. There has been a lot of press coverage recently about an impending battle between Microsoft and Google. Are the battle lines really being drawn between these two companies, and if they are, who’s going to win and what will it mean for the IT industry? When the company is afforded evaluation like Google has, and is simultaneously able to spend increasingly mega amounts of money and be rewarded for that, that’s a hard monster for anyone to compete with. Fortunately, there are a couple players in the world like Microsoft that have dollars that they can go and compete. So, Microsoft committed a couple billion extra dollars in this current year to go build the platform to compete. But what’s really happening is, who can build up a complete platform that anyone in the world can plug an application into and be able to like Google, help monetize that in return for access to this monster platform. Microsoft, I think is going to do the same thing; so, I guess, I do believe they are at battle completely and wholly. Do I think Microsoft has the ability to win? They have the chance to win, but this is Google’s game to lose at this point. The longer the market continues to afford Google, evaluation, to the extent that they have it for putting together this monstrosity of the computing platform, it will become almost untouchable. So, everyone in the world that wants to have an application — and again, this comes back to the hosting sector and say, if I wanted — do I want to go build my own complete resource, or do I want to potentially tap that into a Microsoft platform or a Google platform or a Yahoo platform or an Amazon – eBay could, on down the line. Fortunately, the hosting companies that get this, again are offering utility computing, so you can hopefully tap into an unlimited amount of resource, so you can serve all of the people that want to come visit your site. But specific to Google and Microsoft if I had to pick a winner, I’m still picking Google at this point, but if you had to compete against anybody – if I’m Google, I don’t want to compete against Microsoft, if I’m Microsoft I don’t want to compete against Google; its going to be an interesting battle. Google’s my pick for the winner right now. Thanks again to Andy Schroepfer, President and Founder, Tier 1 Research, and thanks to you, our listeners for joining us on this edition of Thought Leaders.